Tired of tweet, tweet, tweeting and getting nothing for it? 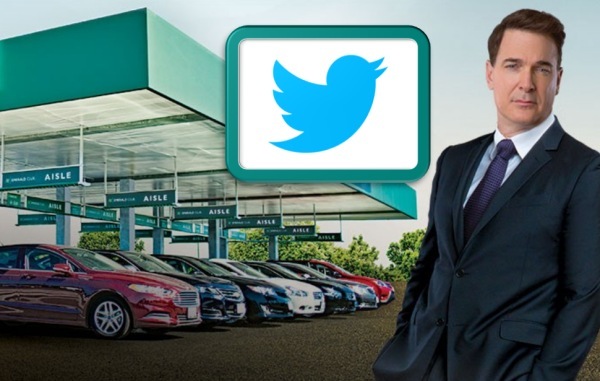 As part of National’s annual One Two Free promotion, National Car Rental is launching its new “One Two Free” Twitter sweepstakes, offering Emerald Club members more chances to earn points toward a free rental day. Through Nov. 14, qualified U.S. participants can enter the Twitter sweepstakes by tweeting how they would use a free rental day and using the hashtag #OTFsweepstakes. Five winners will be randomly selected to receive 600 promotional points — equivalent to one free rental day through One Two Free. For example, a customer can tweet, “I would use my free third rental day to visit the coast! #beachday #OTFsweepstakes.” Participants can post their tweets Wednesday Nov. 1 through Tuesday Nov. 14, 2017, with the hashtag for a chance to win. The One Two Free promotion awards registered Emerald Club members one free rental day for every two qualifying rentals. Each free day covers the base rental rate (time and mileage) only, according to the company. To read more at Auto Rental News, click here.